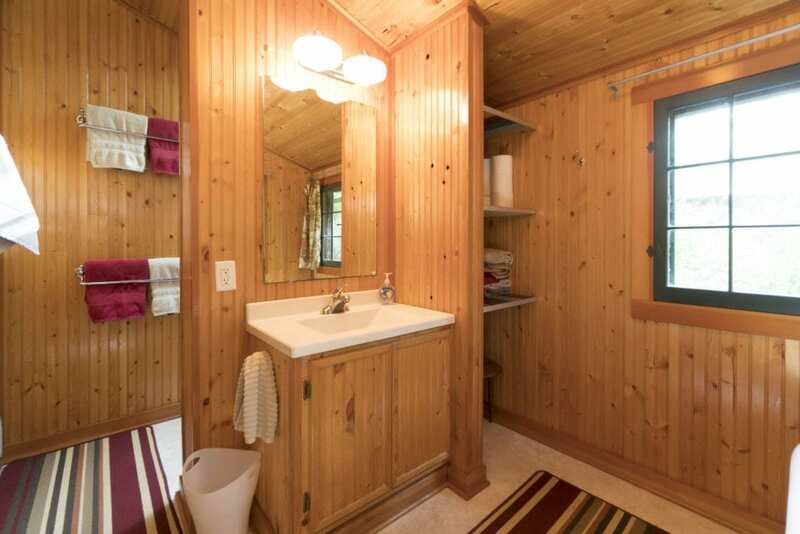 Lakeview Cottage is actually two small cottages pushed together to form a larger cottage. 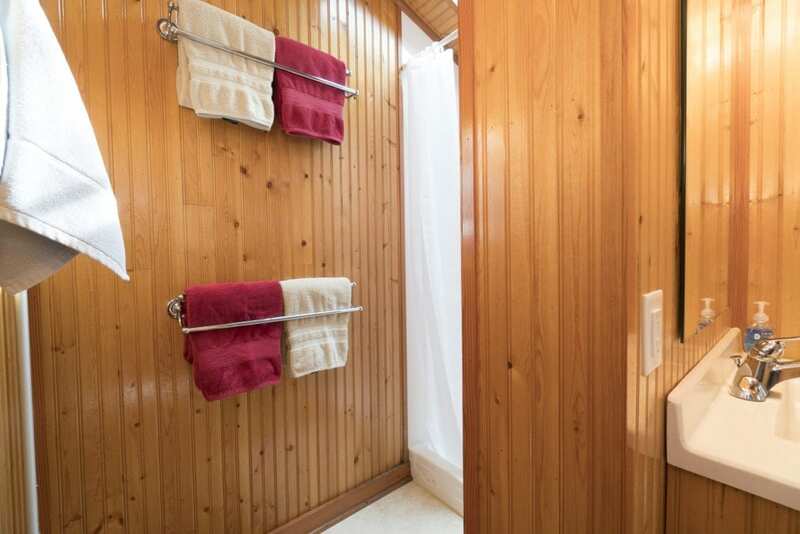 The precise date that this occured is unknown. 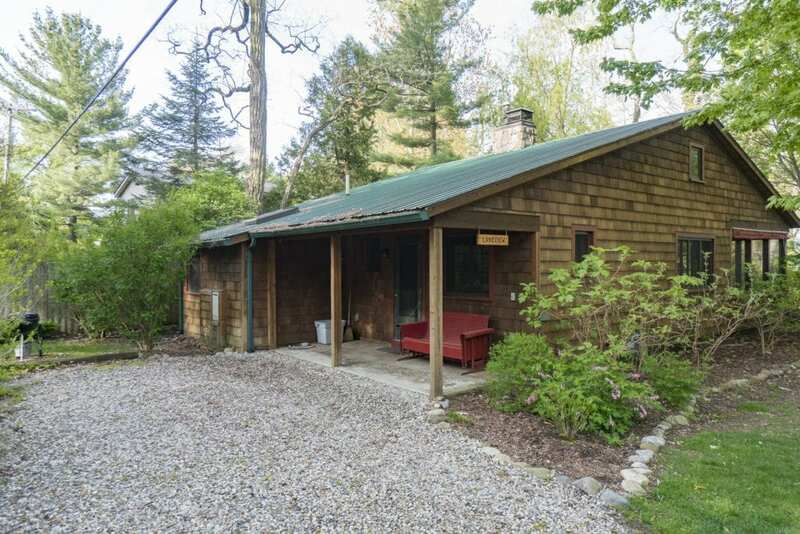 In 2004, a complete transformation of this cottage took place, rebuilding it on the same footprint as that of the original structure. 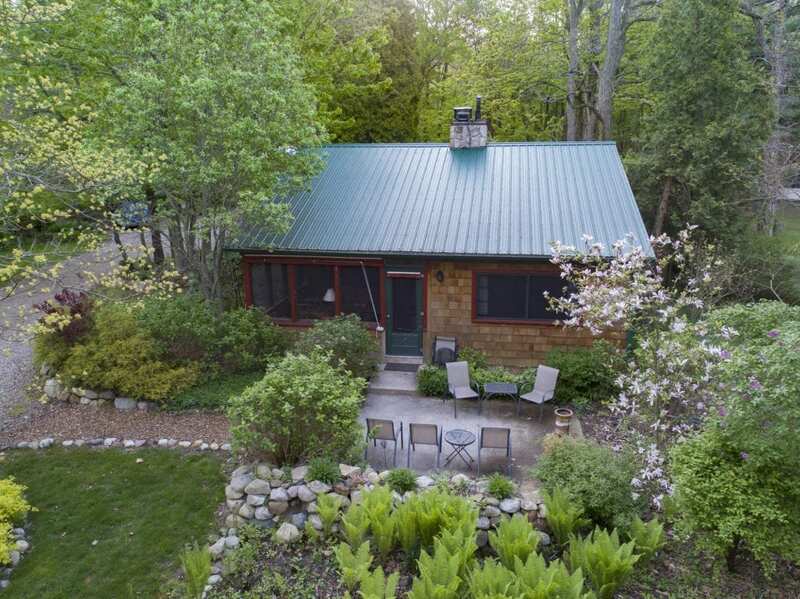 It is a charming cedar shingled cottage with a metal roof. 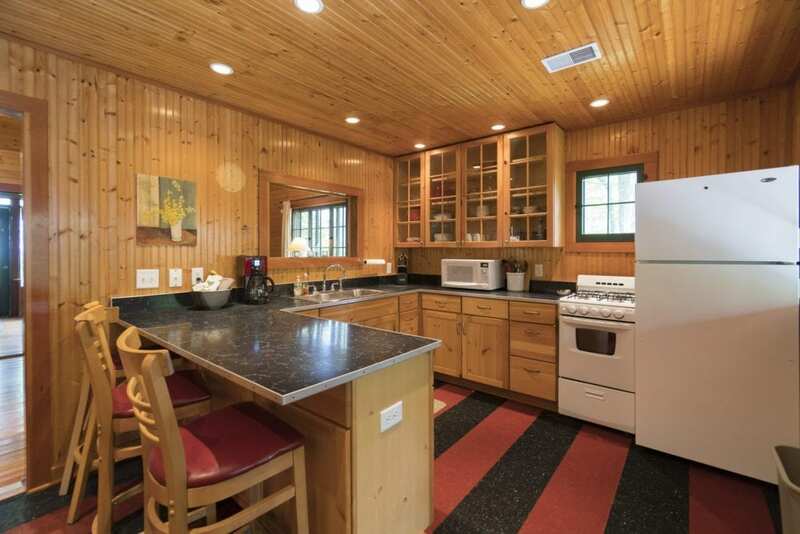 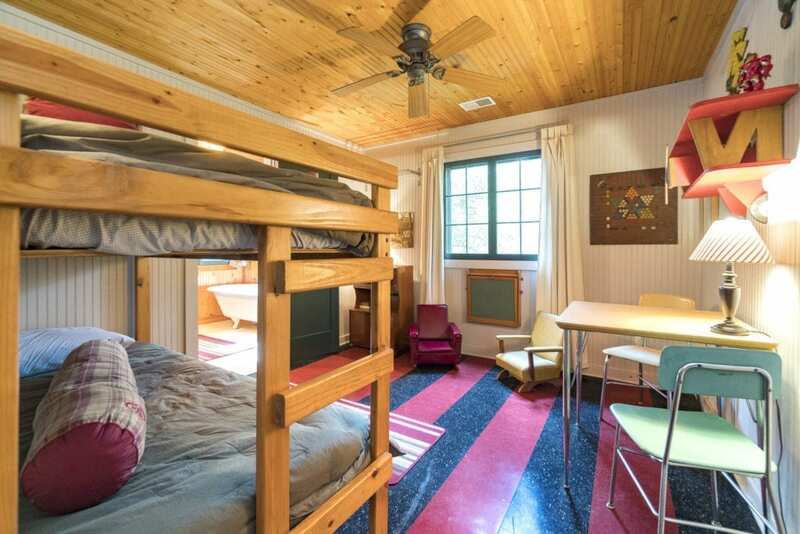 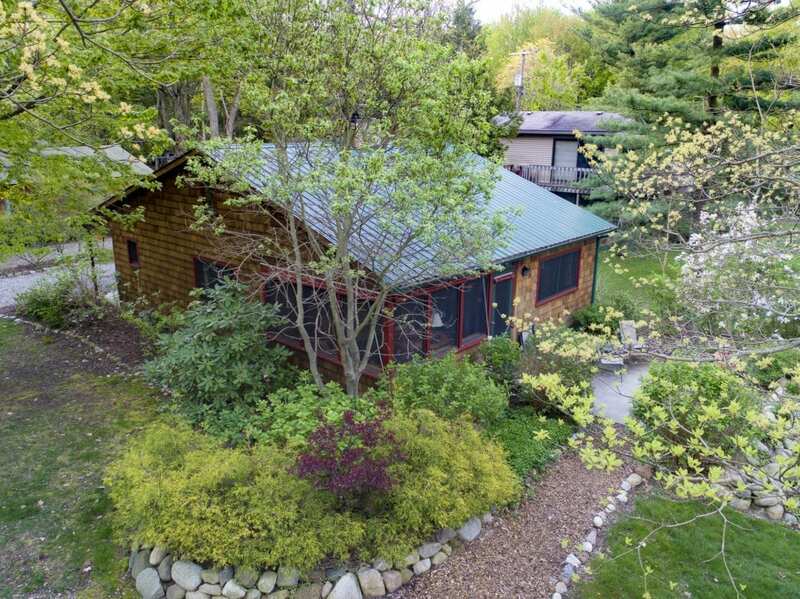 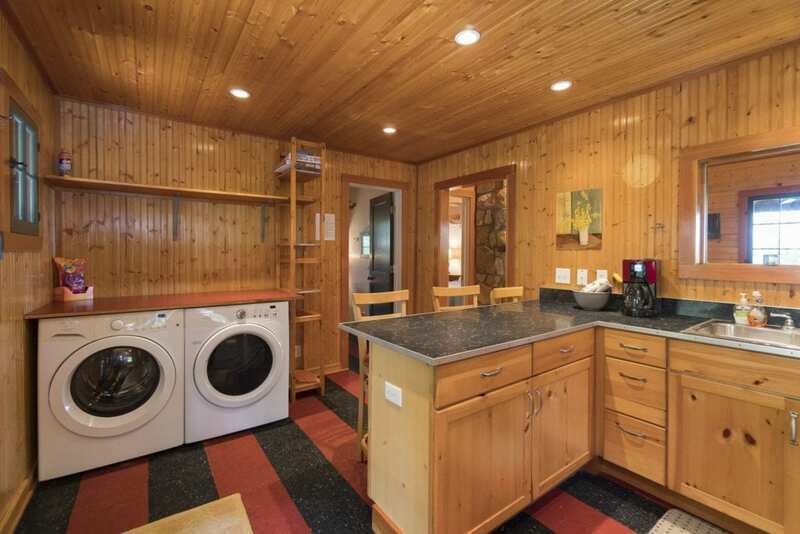 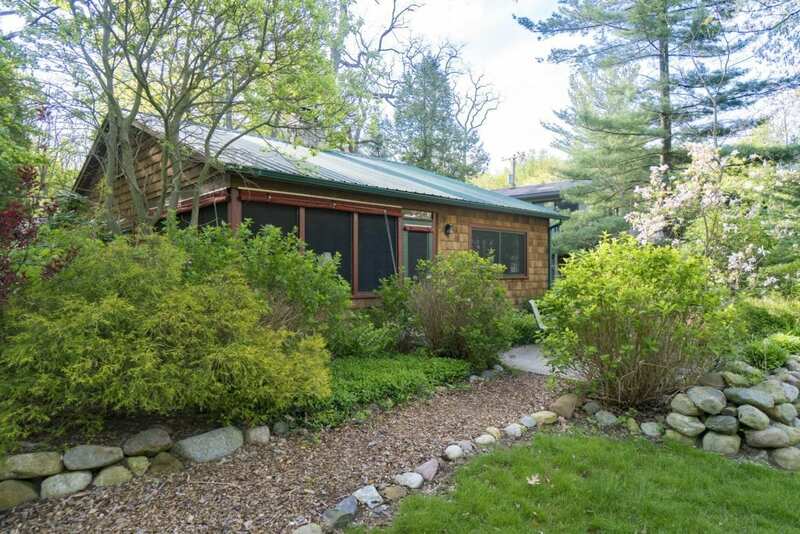 Lakeview boasts a knotty pine interior throughout. 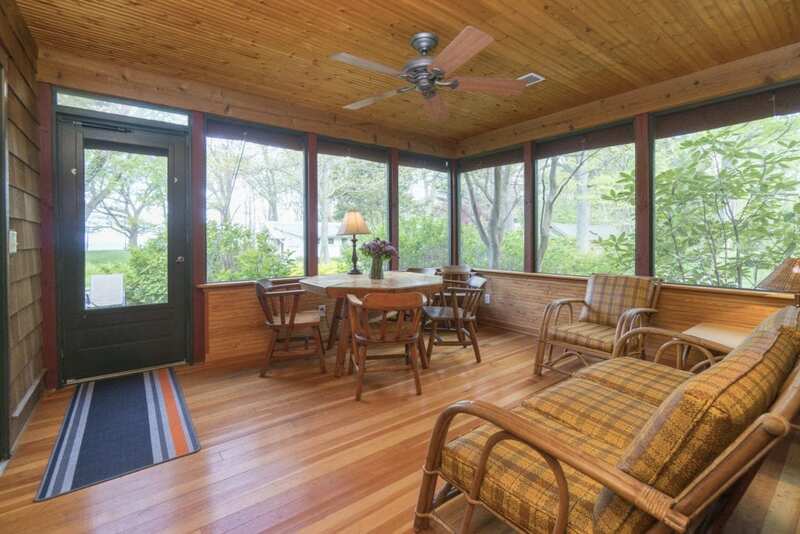 A large screened porch looks out over Timber Bluff and Lake Michigan. 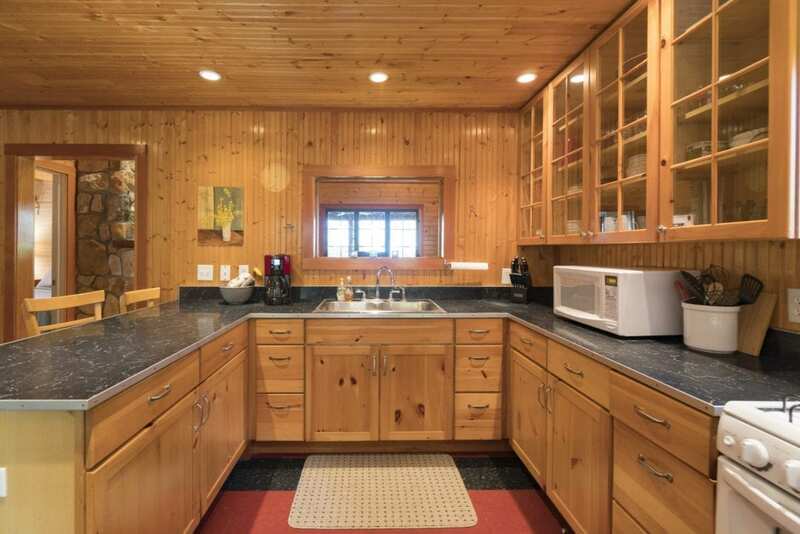 The well-equipped kitchen with island seating for three has a view through the living room, and the screened porch, to the evening sunsets over Lake Michigan. 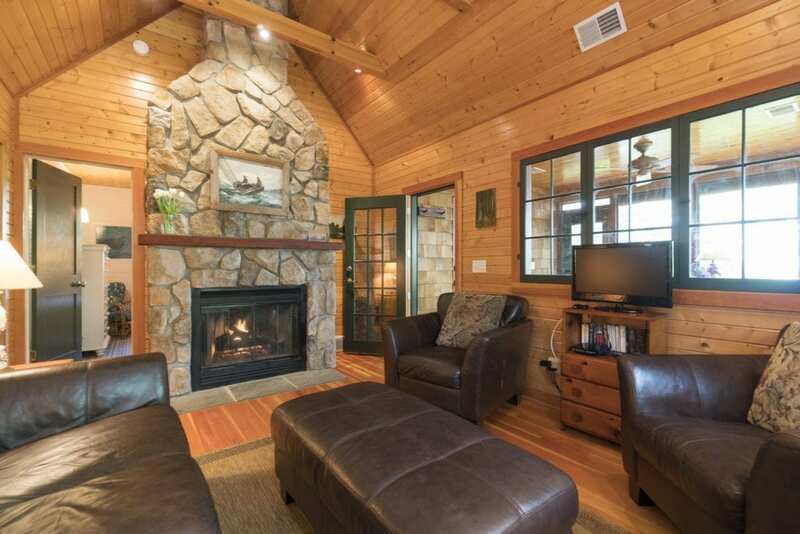 The living room is cozy, with a vaulted ceiling, and a beautiful stone gas-log fireplace. 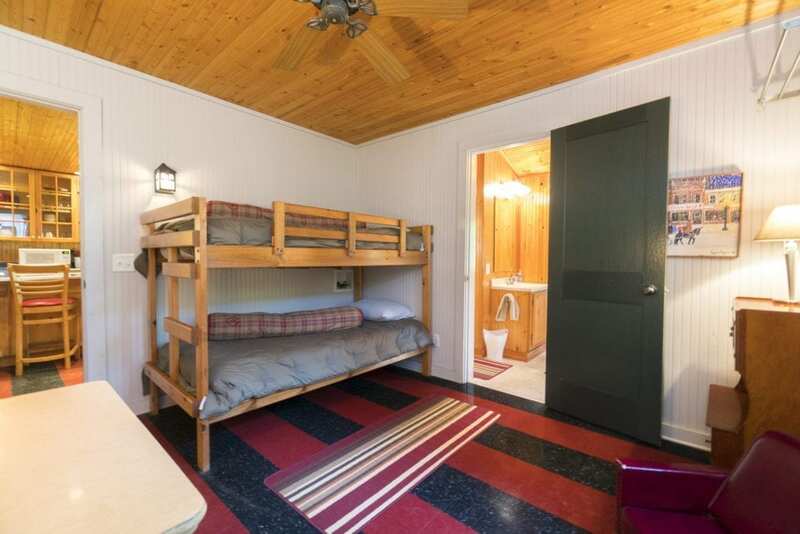 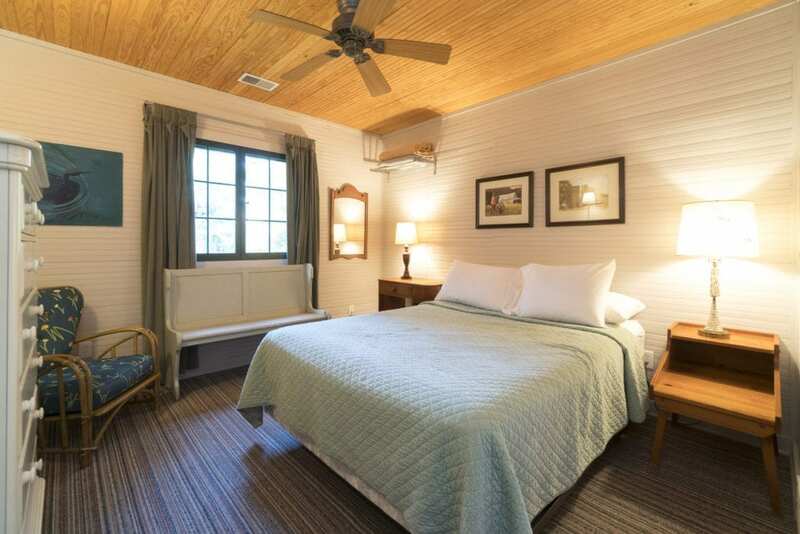 There are three bedrooms — a master bedroom with a king size bed and a view of the lake, a second bedroom with queen size bed, and a third bedroom with bunk beds, which also leads to the bathroom. 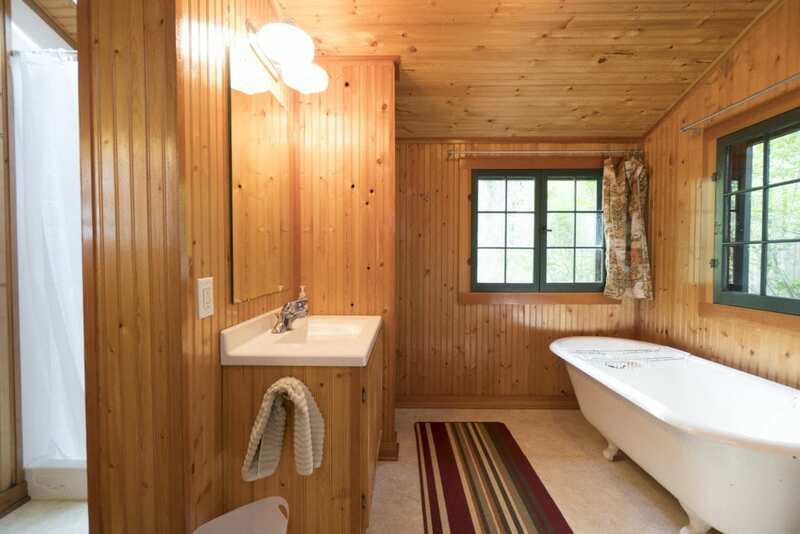 The bath features the original antique claw-foot bath tub, as well as a new stall shower with a skylight above. 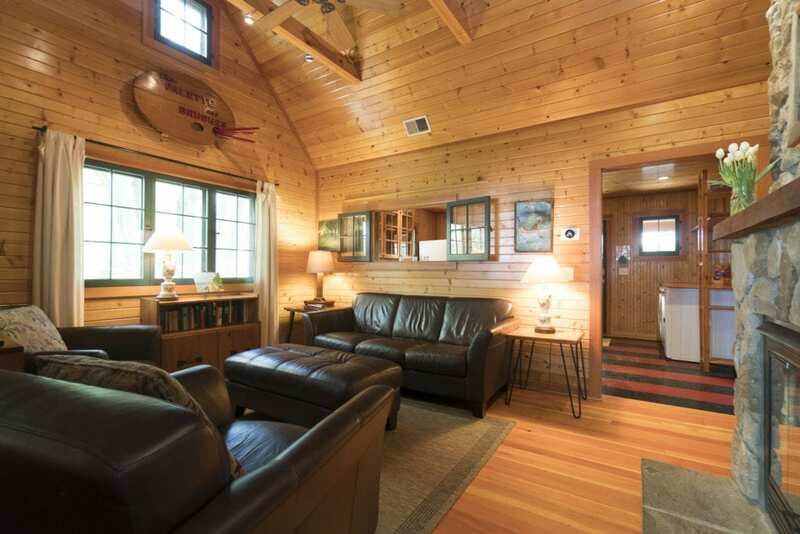 Lakeview makes a great headquarters or party central, for groups who are renting more than one cottage at the same time. 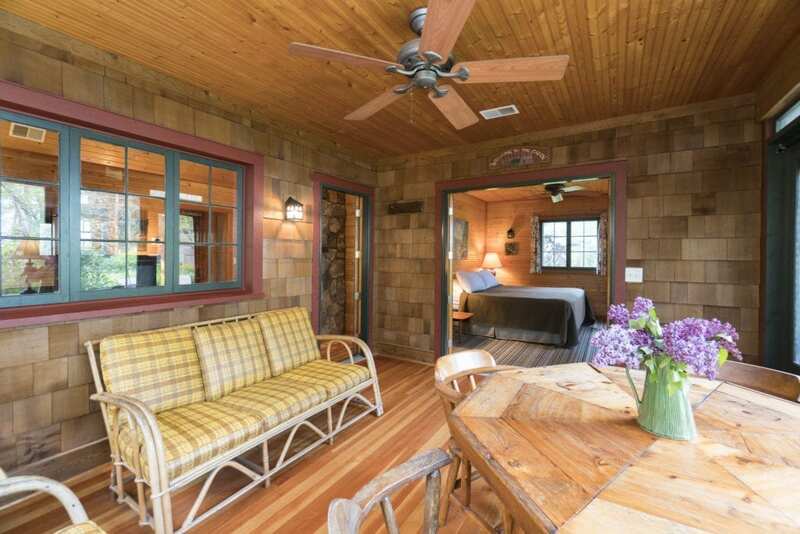 This house is a four season home. 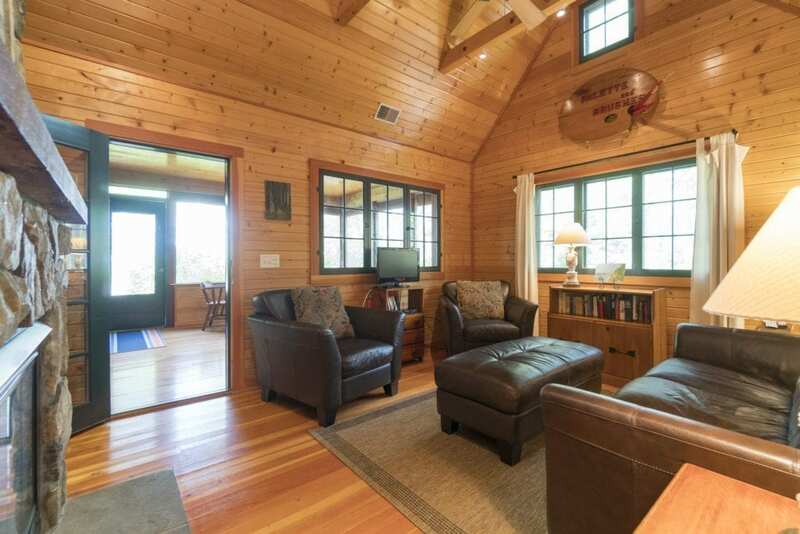 The screened porch has storm windows and is heated, so that it can be enjoyed throughout the year. 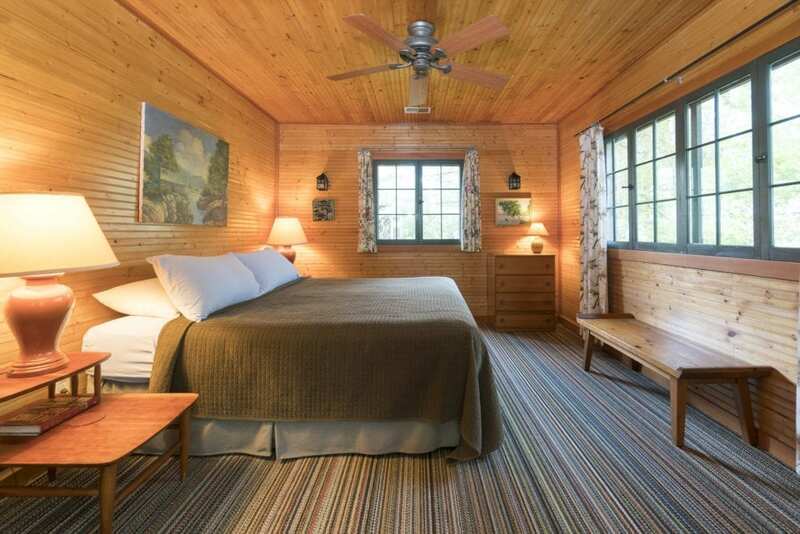 Lakeview sleeps six people comfortably.